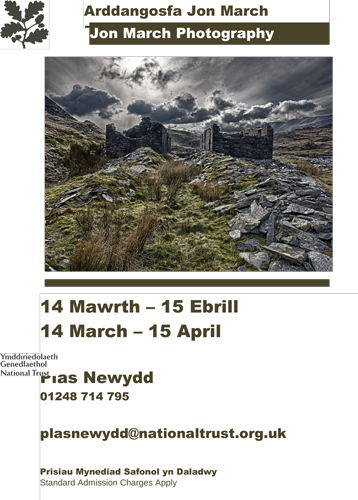 Jon March Photographics: Photography in Wales: Exhibition at National Trust, Plas Newydd, Anglesey. For the next month we will be exhibiting a display of our images at National Trust, Plas Newydd, Anglesey. We will have both our slate work and prints on show at this truly stunning location, so why not pop along if you get the chance!